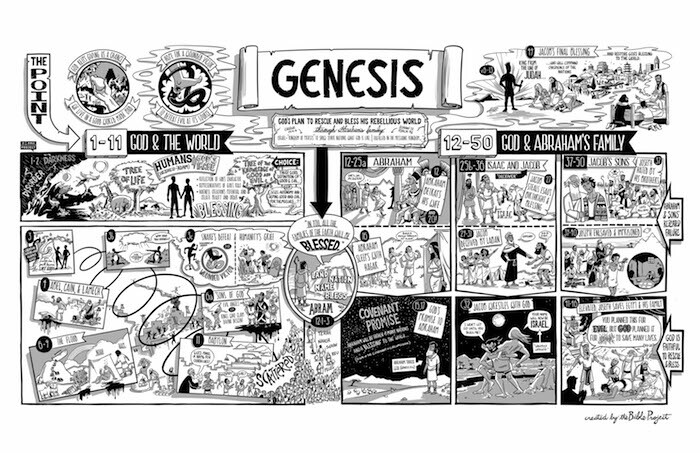 The outline of Genesis in poster format. Hang this in your office, hallway, living room, or give it as a gift. The image for this poster is available for free and can be printed for personal use without restriction. The poster is the summary of these two videos.